Barlow Boy wrote: Someone showed me this on their phone at the game on Sunday, and I thought it was a joke. Now I’ve seen a bigger picture of it, I quite like it. I don’t buy replica kits, as I prefer the polo shirts, but I must admit I’d think about getting this. Perhaps it's because it doesn't shout "football top" that splits the view. 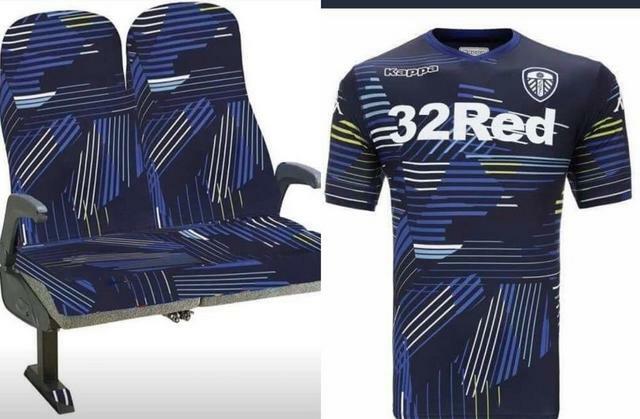 I'm not loving it as a kit but it is something I can see being bought as causal wear. Viduka Hits The Mark wrote: I have to say its not for me. I used to have wallpaper like that in my old bedroom when i lived at my parents. If we get promoted it will be our lucky charm top. Just saw it on my email and it looks like something my daughter just spewed up, maybe it will look better when i see it properly and not in a photo but first impression - No thanks! Last edited by Mr Russell on 10 Aug 2018, 02:05, edited 1 time in total. This made me laugh but its not that bad! I think it might grow on me. It's the most vomit-inducing strip we've had in yonks. It will NEVER grow on me .. seriously poor effort. rigger wrote: It's the most vomit-inducing strip we've had in yonks. Don't beat about the bush Rigger, give it to us straight. What do you really think about the new away kit?